It can be emotionally distressing to develop darker skin patches on the upper lip, cheeks or forehead. Melasma appears without warning, and without any obvious cause. A hyperpigmentation of the skin, melasma affects mostly women and is often caused by hormonal changes combined with UV (ultraviolet) exposure. The three types of melasma are epidermal melasma (upper skin layer), dermal melasma (inner or middle skin layer), and mixed epidermal and dermal melasma. Though the onset of melasma may seem abrupt and shocking, there are fortunately a number of effective treatments to prevent hyperpigmentation, if not reverse it. Among the most effective of the approaches is avoiding, or minimizing, sun exposure. What is the Cause of Melasma in Seattle & Issaquah? The exact cause and cure of melasma are unknown. However, there appears to be a direct correlation between the occurrence of melasma and female hormone activity. Most often this connection manifests with pregnancy or the use of oral contraceptive pills. The condition can, in some cases, quickly subside when the individual stops taking oral contraceptive pills and is rigorous about sun protection. Other factors that influence melasma are genetics, photosensitizing medications, mild ovarian or thyroid dysfunction, and certain cosmetics. What Can I Do About Melasma? The most popular skin lightening agent used in the treatment of melasma is hydroquinone, a drug that is available over-the-counter in a diluted form. Tretinoin, the acid form of vitamin A, This cream is another topical agent that can be effective against melasma and is often used to treat acne. 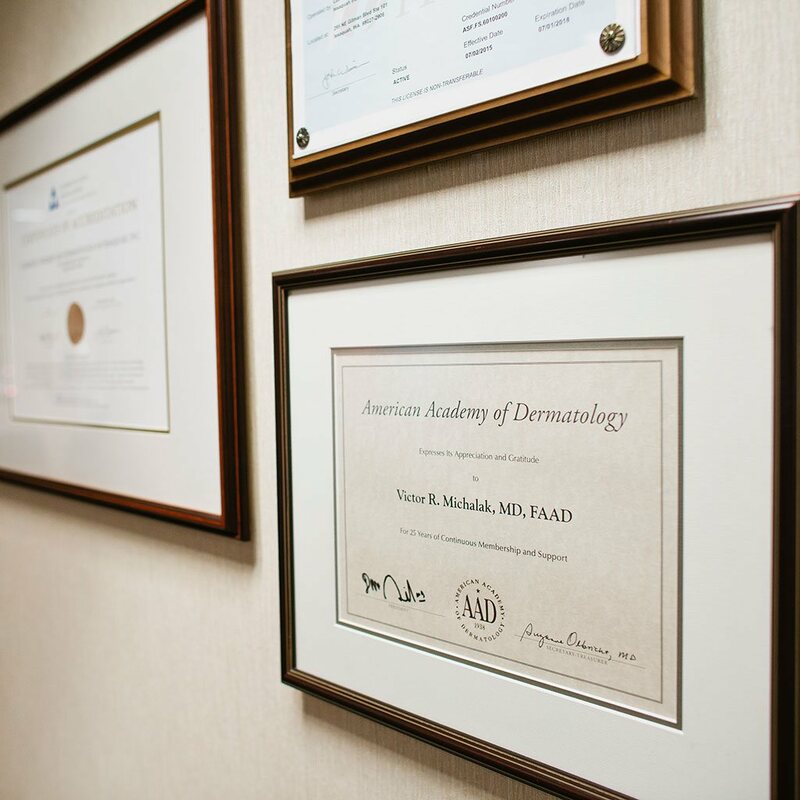 Additional modalities for treating melasma in Seattle & Issaquah include chemical peels, octadecene dioic acid (ODA), azelaic acid, cryotherapy, and laser treatment. Email or Call us at 425-391-2500 with questions or concerns for cosmetic surgeon Dr. Michalak about treatment options for melasma. Our office is located in Issaquah, just 20 minutes from downtown Seattle. Please dial 425-391-2500 extension 7 for Carolyn, our cosmetic patient coordinator. Contact us today!